When the first season of Ping Pong the Animation began, many thought that the entire animation was all about ping pong. However, this anime is more about life than ping-pong game. Aired in 2014, the Manga has so far attracted a large audience. Though different people have different preferences in anime, this one is unique and offers great life lessons. Let’s see more about this best-selling Manga. Ping Pong the Animation is an anime written by Taiyō Matsumoto. It centers on 2 high school friends, smile and Peco who friendship began from childhood. They are talented in table tennis and play for Katase High School table tennis club. Peco is demoralized after being beaten by ‘China’ a Chinese student. Such an experience deters him from practicing. His friend, Smile does not want to win against his friend, Peco due to his personality. However, the coach recognizes Smile’s potential and makes an effort to motivate him towards overcoming his backward personality. The friends spend most of their time playing table tennis with so much zeal and dedication. Some of the players give up on the sport and get back to it again. Though the characters play table tennis, Ping Pong the Animation is not all about playing table tennis. It is about real life. From the characters, we can see that sometimes challenges demoralize them. At other times, they leave the game and come back again. There are great lessons to be learned from this anime. Life has its own ups and downs that make us want to withdraw. However, we overcome and get back to the track again. The anime is not just something to offer fun to high school students. It tells an emotional story of students attracted to a serious table tennis sport. Some students pursue it because they are talented. Others become talented because they play. Some others, though have the talent, they are not dedicated. Other groups of players have to recognize that heart alone is not all that they need to accomplish their dreams. 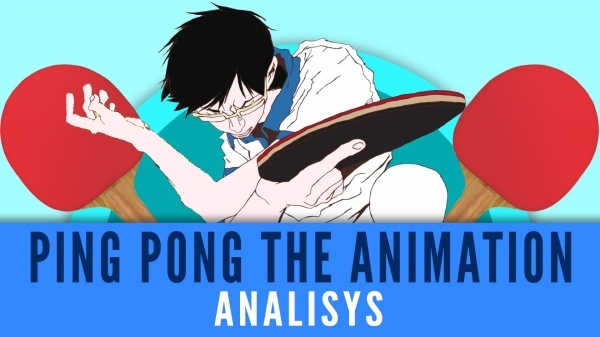 Ping Pong the Animation shows that a great story can be taken from any genre. The characterization in this manga is wonderfully done to strengthen the story. The writer is famous for his unique art style. However, the character sketching is not something pleasing. As well, the style of animation is unrestrained such that sometimes, the borders and lines begin to dissolve. You can make your table tennis playing experience a story. Also, forget about the invisible borders and lines as well as the unpleasant character sketches in this anime. Ping Pong the Animation is a manga worthy of watching. The story has great lessons to learn about life. From a scale of 1 to 10, I can rate this anime 9 out 10. It is a manga that is exceptionally written, directed and produced. It displays the competition psychology and is realistic about dreams, talent, and victory. It perfectly focuses on drive and hard work rather than just lazy dreams. The sound is high and the dialogue is natural. It is a must watch anime for table tennis fans and players.